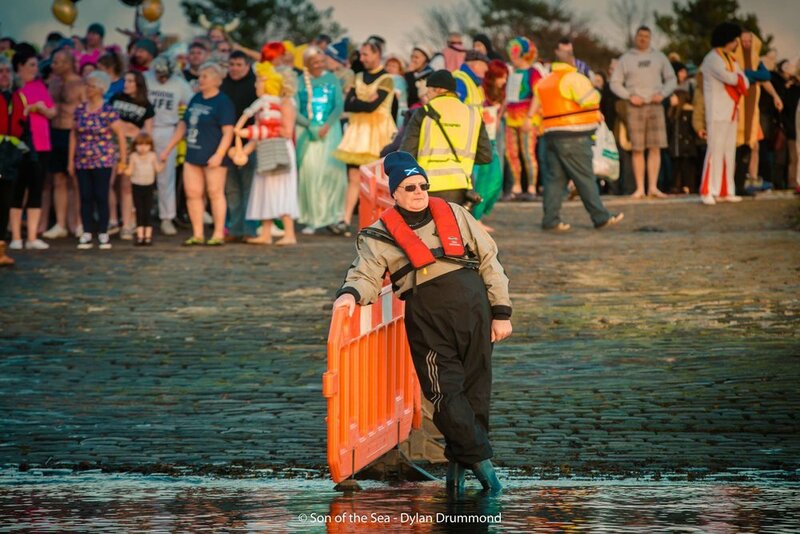 The New Year’s Day Dook is a tradition handed down by the fisher folk of Broughty Ferry - some of whom bathed in the waters of the Tay every a morning except on the Sabbath. This tradition dates back to 1891 as recorded in the first official minutes of the Club. The 1st of January was special, as it heralded in Neer' Day i.e. the first day of the New Year, when the community congregated to celebrate together. The Dook has never been cancelled no matter the weather and in 1989 we had to break the ice, with pick axes, in the harbour to be able to swim. The Dook is the first event in Broughty Ferry and Dundee and can boast being the largest in Scotland. The event also raises valuable donations for many charities as most Dookers raise sponsorship by taking part. 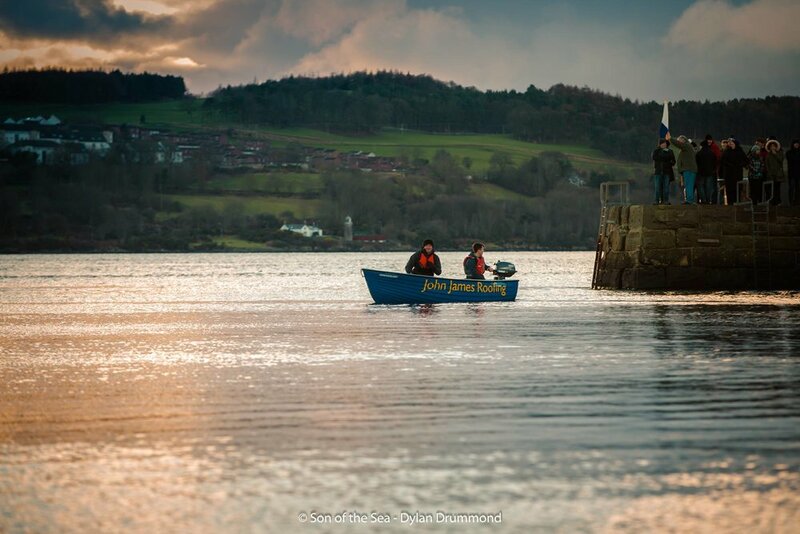 To celebrate the Millennium a relay team of club members swam from Tayport to Broughty Ferry on the 1st of January when the temperature that day was 2°C but has been recorded lower at minus -3°C in previous years. 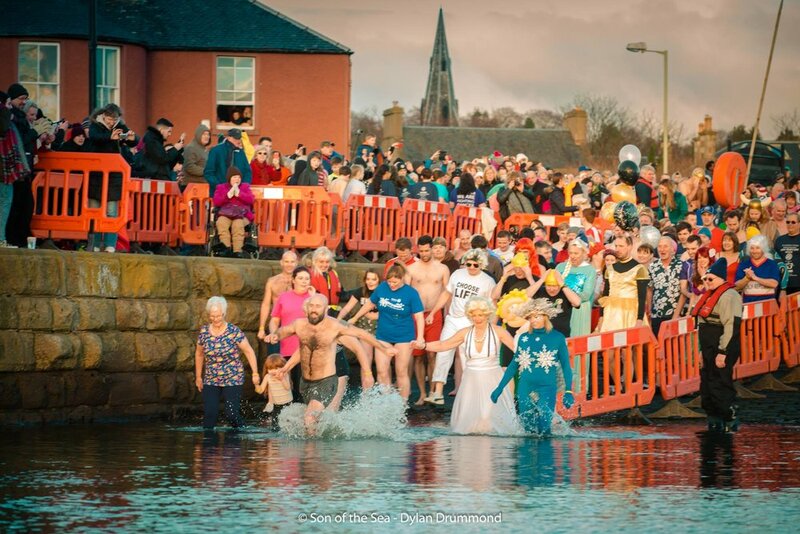 The relay was the first ever crossing attempted on a New Year's Day and most of the team could only tolerate the cold water for three minutes at a time. The recorded time for the crossing was 45 minutes. Over the years participation in the Dook has increased dramatically now attracting over three hundred Dookers and three thousand spectators. We welcome everyone who would like to take part and hope you will join us on New Year’s Day we will once again be holding a fancy dress competition for the best looking Fairy, Santa and Reindeer along with the best dressed Christmas Cracker and many more! But please, NO MANKINI's! If you would like to participate in the Dook you can enter and pay online ......come and join us for the fun!